Maintain access, care and efficiency during downtime. Lexmark Healthcare’s Downtime Assistant solution helps you maintain continuity, even when systems or networks are down. Whether infrastructure is out of service for routine maintenance, or the downtime is unplanned, Downtime Assistant enables clinical staff to keep providing the care your patients deserve. 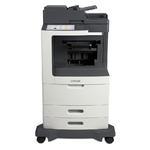 The MX611dhe MFP has a small footprint to easily to fit in the most space-challenged clinical area, but big function. 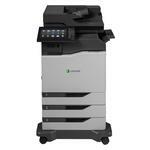 Fully featured, top performer in a small footprint to fit in tight clinical work areas. 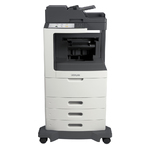 Add color printing to your patient communications in a compact, powerful device. During downtime, lack of information access and control can impede clinician productivity and keep them from providing quality care. Manually updating critical documents is slow, inefficient and often lacks accuracy and security. Downtime Assistant enables you to automate updates and store information directly on your Lexmark MFPs for downtime availability that’s fast, accurate and secure. The most current reports, forms and procedures are automatically fed to the device from central sources so your staff has access to the most up-to-date information. As a result, you’ll be able to increase and simplify access for fewer errors and greater continuity of care. Downtime situations can come in all types of shapes, sizes and situations. But most standard EHR downtime solutions are only effective during specific types of scenarios. Furthermore, other ancillary systems may not have an online solution at all, and downtime PCs are cumbersome and require valuable space and resources. Downtime Assistant complements the downtime capabilities of your EHR vendor to fill in existing gaps and ensure you’re prepared for any downtime situation. 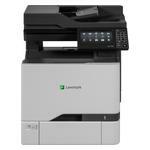 And, since the solution leverages the power of your existing Lexmark MFP platform, it works without requiring additional infrastructure or resources for lower costs and maximum efficiency. In clinical settings, high turnover rates can result in substandard training practices, especially when it comes to the specialized knowledge needed to run PC-based downtime systems. As a result, staff often lack the competency and skillset to be completely effective during downtime situations. Downtime Assistant simplifies downtime procedures so that your clinicians can continue doing their jobs with ease. 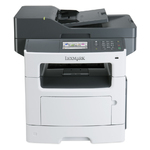 The solution makes critical forms and instructions, available directly from your Lexmark MFPs. With the push of a few buttons from the intuitive touchscreen, users can access the most up-to-date information with minimal training and less hassle. At Lexmark, we understand that no two healthcare organizations are the same. You have your own unique set of systems, infrastructure and protocols that keep your organization running smoothly, so a one-size-fits-all solution just won’t do. We built Downtime Assistant with the flexibility to address your unique needs for more complete access and faster recovery. We’ll work with your systems to ensure your staff has the most up-to-date materials. Plus, customizable features that allow us to integrate with Epic’s Business Continuity Access or Cerner’s 724 Access provide additional forms and instructions that aren’t built in to those platforms. 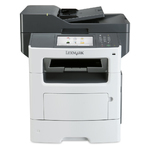 In organizational command centers, the Lexmark MFP can become the document routing hub for the hospital, ensuring all department use the most up-to-date materials and route information back to the command center instantly. In nursing units, clinicians stay up to speed with access to current and critical documents at the touch of a button on the MFP. In ancillary departments, no matter where in the hospital, Downtime Assistant and the Lexmark MFP ensures clinicians have easy access to the most current forms and documents and can channel data to command centers instantly. Lexmark had a deep healthcare industry competency, asked us intelligent questions from the outset and showed us how their solution would work for us. Gwinnett Health Systems improved efficiency and realized significant savings thanks to Lexmark’s deep assessment and solutions.